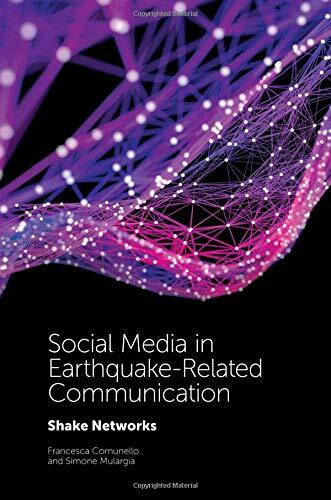 This book presents a comprehensive framework for disaster communication, with a main focus on earthquake-related communication, building on a previously fragmented, single-case study approach to analysing the role of social media during natural disasters. The authors consider both traditional communication patterns and a networked model. Following traditional command-and-control disaster management paradigms, disaster communication has historically been framed as a linear process, in which experts or authorities give instructions to a passive audience. In recent years growing attention has been devoted to bottom-up disaster communication processes, and scholars have begun to focus on activities performed by citizens through digital media. These activities include eyewitness information sharing, collective intelligence processes, and digital volunteering. Each chapter identifies and addresses four different scenarios: top-down information sharing, citizen information gathering, institutional communication gathering, and bottom-up information sharing. If you have any questions about this product by Emerald Publishing Limited, contact us by completing and submitting the form below. If you are looking for a specif part number, please include it with your message.